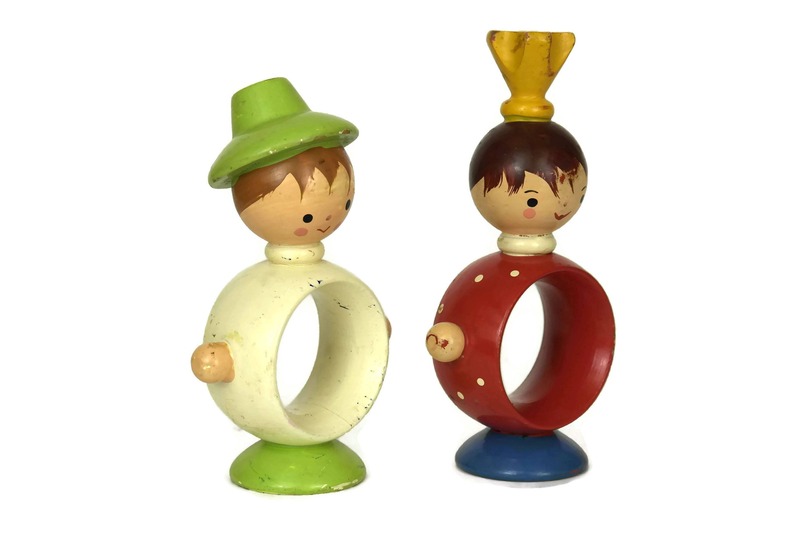 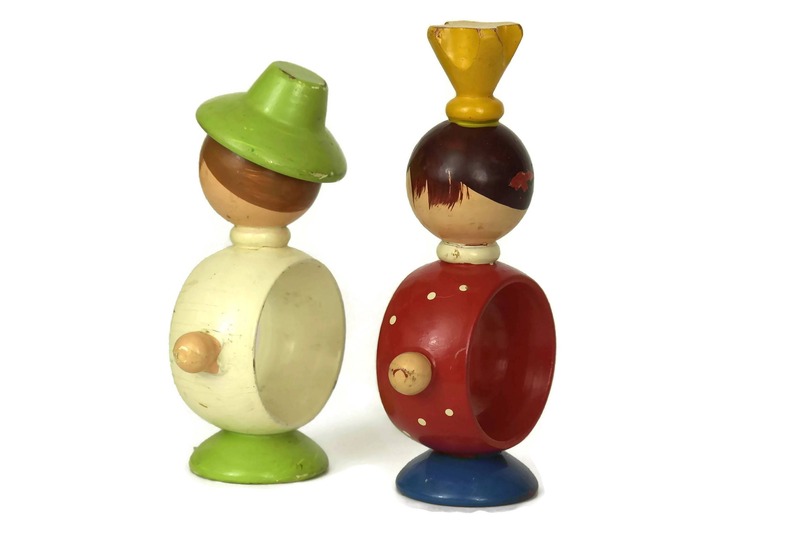 An adorable set of 2 vintage German napkin rings created in the form of the Prince and the Pauper figurines. 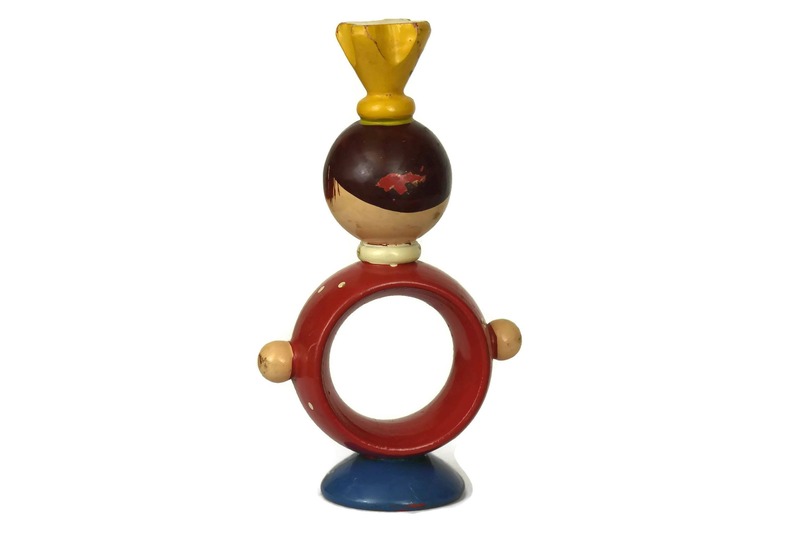 Each serviette holder has been created from carved wood and hand painted with charming details and bright colors. 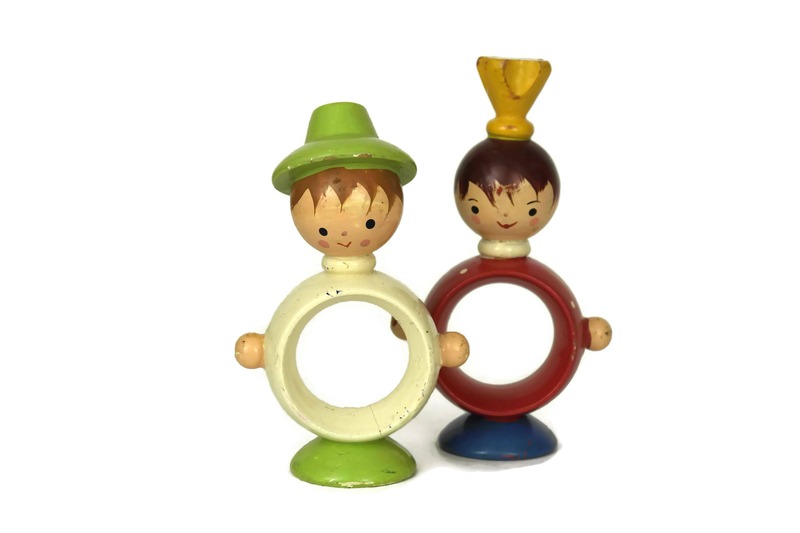 The set would make a wonderful addition to your vintage Erzgebirge collection. 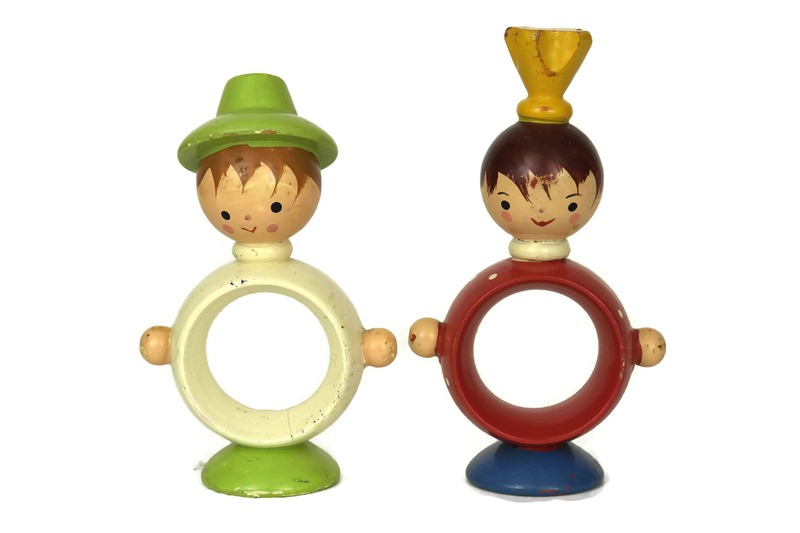 The napkin holder figures have no visible manufacturer's stamp. 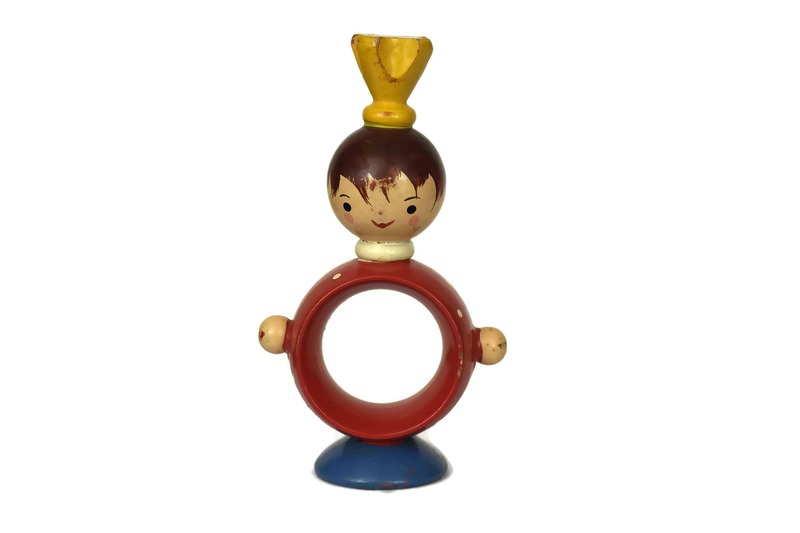 The Prince napkin ring figurine is 5" Tall and 2 3/4" Wide (13 cm x 7 cm). 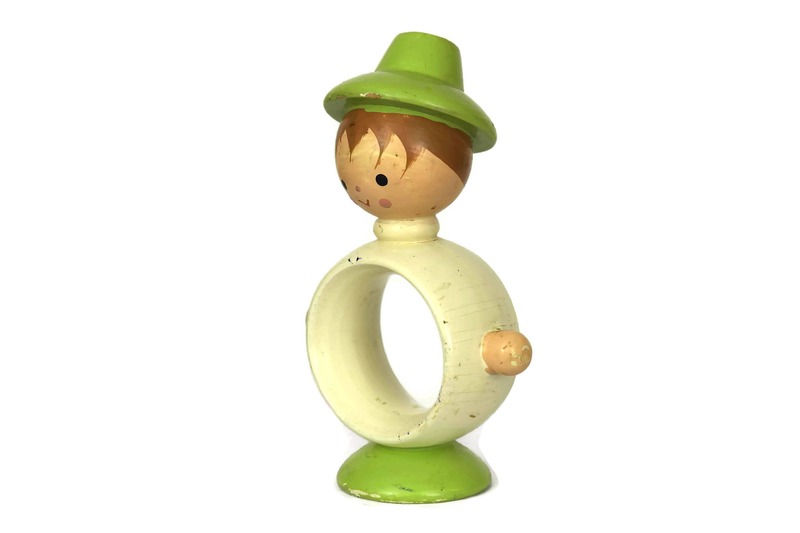 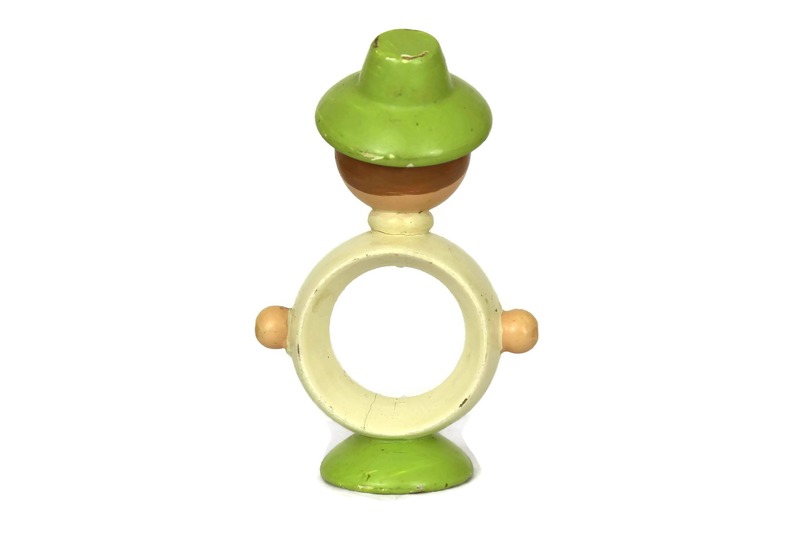 The Pauper napkin ring figurine is 4 1/2" Tall and 2 3/4" Wide (11,5 cm x 7 cm). 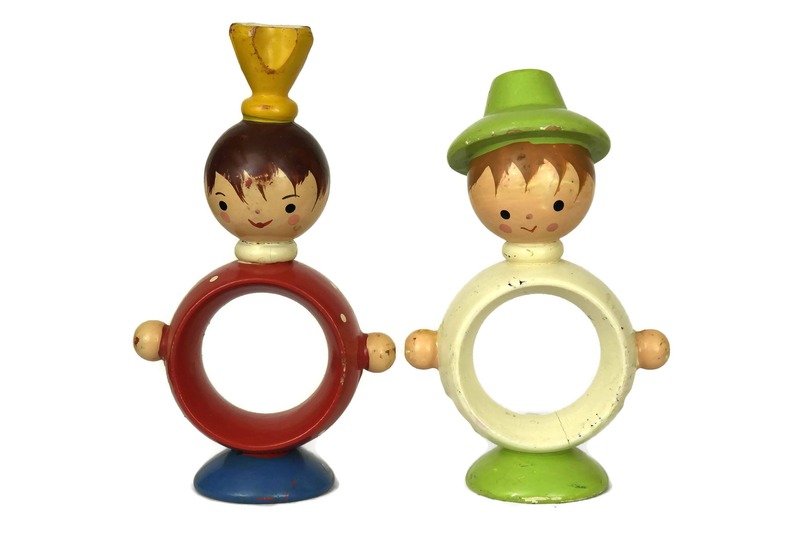 The set of wooden napkin rings is in very good condition with no chips or cracks. There are some small flakes and paint loss in places.